History seems to have repeated. 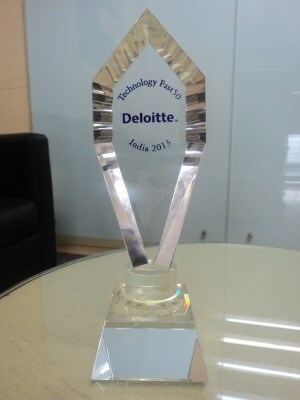 Last year Greynium was awarded the Deloitte Technology Fast 50 India 2012 award, same ranking this year, #50. The winners are judged by the growth in revenues over the last 3 financial years. Greynium (which is mainly about Oneindia) was the only winner in the digital content space. There were few from the digital ad space who demonstrated spectacular growth. More than 80% of internet traffic measured in bits will continue to come from traditional desktop and laptop computers. More than 70% of the hours we spend on computing devices (PCs, smartphones and tablets) will be on a PC. Time at work accounts for a large portion of that, but even in our non-work lives we are likely to use PCs more than 50% of the time. We are not in a ‘post-PC era’ but a ‘PC Plus’ era. The winner was Ardom Telecom Private Limited (Communications/Networking) which had a growth of 12,023%. Truly impressive and motivating to other winners to achieve such big numbers. Not sure they do it. I would have loved to upload the photo of receiving the award, but with our CEO Sriram Hebbar not being there I don’t feel appropriate uploading the photo. We at Greynium would want to move up the chart. There is tough competition out there.